Land Rover has finally debuted its concept of what the hard-core off-road Discovery SVX will be when it enters production in 2018. The long-rumored SVX version of the new Disco is the latest creation from Land Rover’s in-house skunkworks and customizer, Special Vehicle Operations, otherwise known as SVO. Designed to handle even worse terrain than a standard Discovery, the SVX boasts an upgraded suspension with more flex and ride height, restyled bumpers for improved approach and departure angles, exposed tow hooks, and even a recovery winch mounted in the rear bumper. Naturally, the interior is given a flair of outdoorsy extremism. The Discovery SVX project takes inspiration from the classic Camel Trophy and G4 Challenge events, which used to pit man and machine against incredible odds in extended cross-country driving through remote areas with basically no roads. While both off-road events have been dead since 2000 and 2008, respectively, Land Rover has tried to infuse that adventurous spirit into the Discovery SVX. Perhaps one day we’ll see Land Rover organize another G4 Challenge, but until then, let’s check out its new Discovery SVX. Land Rover’s SVO team started with a standard Discovery but finished with something that’s far more capable off the beaten path. The visual changes aren’t limited to aesthetic bits designed to attract attention. Rather, the Disco SVX has functionality baked into its new looks. The most noticeable changes happen with the front and rear bumpers. They are restyled to accommodate higher approach and departure angles, giving the Disco SVX a greater capability in climbing rocks and crossing ditches. The front bumper’s trimmed design also allows for easier access to the recovery hook mounted in the center. Matching recovery hooks protrude from the rear bumper, too, and all three are coated in a hue the SVO team calls “Rush Orange.” The bright accents continue on the bumpers, the wheels, and the fender vents. Rock sliders below the doors connect the silver color of the front and rear bumpers while giving some much-needed protection from trail damage. Land Rover didn’t divulge how much the Disco SVX’s new bodywork improves these approach and departure angles, but the standard Discovery has 20.1 degrees of approach, 25 degrees of departure, and boasts 11.1 inches of ground clearance in its highest suspension level. It can also ford 35.4 inches of water – that’s nearly three feet – all while being guaranteed not to stall or soak the floorboards. Adding to the functionality of the recovery hooks is an electric recovery winch hidden behind the rear bumper and the Discovery’s optional Trailer Tow package, which includes that two-inch receiver hitch. A big part of off-roading is traction. Land Rover stacked its deck with 275/55R20 Goodyear Wrangler DuraTrac tires. 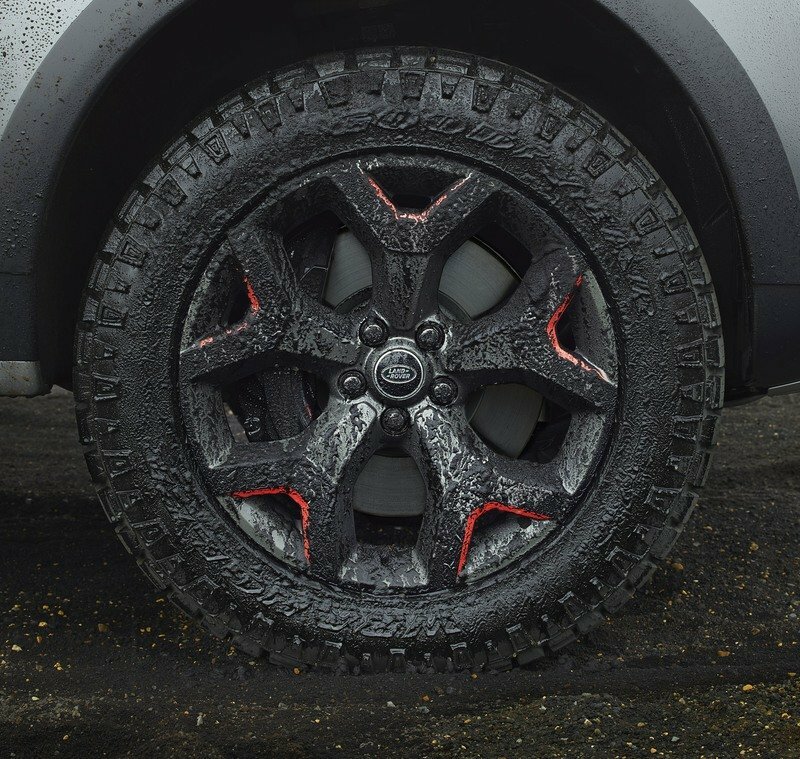 The 32-inch-tall tires have larger sidewalls than the stock tires and have exponentially more grip in loose terrain thanks to deeper treads with larger voids. Attendees at the 2017 Frankfurt Motor Show will notice a set of concept Goodyear Wranglers mounted on the Discovery SVX concept. These tires feature an X-pattern with one X colored in Rush Orange. Don’t count on seeing these making production, though. Both versions of the Goodyear tires are mounted on 20-inch forged aluminum alloy wheels. Of course, that prominent Rush Orange color is seen here, too, accenting the inner edges of the wheel spokes. As for the body, the SVO team concocted a new paint color they call Tectonic Grey. Nearly transparent X-patterns along the doors give the Disco SVX Concept an interesting visual depth. Narvik Black – an almost piano black – is used on the side vents and front grille. The roof is offset with silver load rails and LED off-road lights. Land Rover didn’t change the overall design of the Discovery’s interior, but there are tons of smaller details that combine in giving the Disco SVX an entirely new feel. Perhaps the biggest change is the departure from the rotary shift knob. 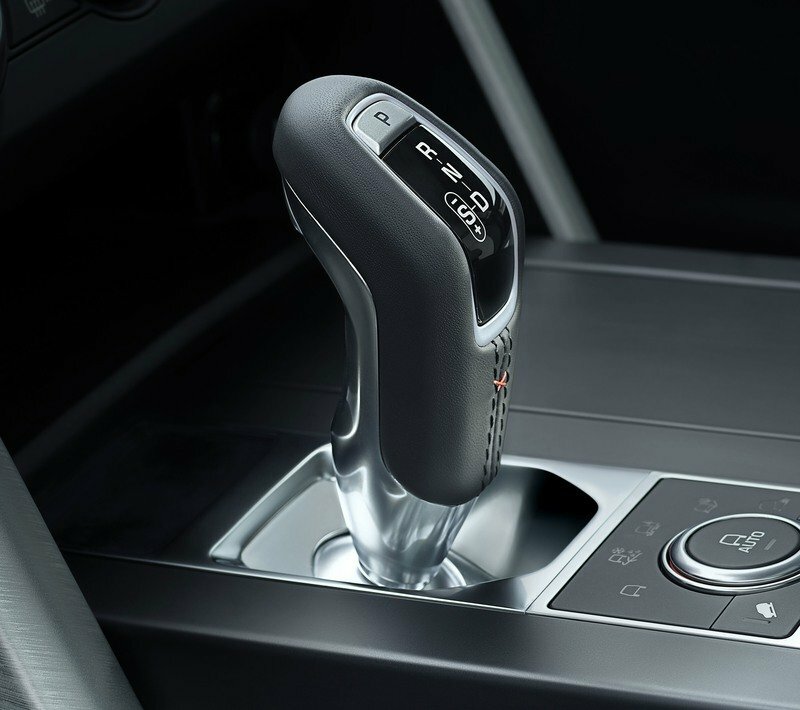 It’s been swapped for the pistol-grip shifter used elsewhere in the Jaguar Land Rover lineup. The leather seats use a gray and tan color combo accented by – you guessed it – Rush Orange contrast stitching. The X-pattern reappears here, too, used to create the perforations within the center sections of front four chairs. The SVX logo is branded on the upper seatbacks in the first row, as well. The rest of the interior is treated to the Rush Orange accents, including the Terrain Response 2 knob, the rubber floor mats, and door panels. In fact, the SVO team uses a single X-shaped stitch to add a pop of color on the gearshifter and door panels. It’s a pretty neat look. 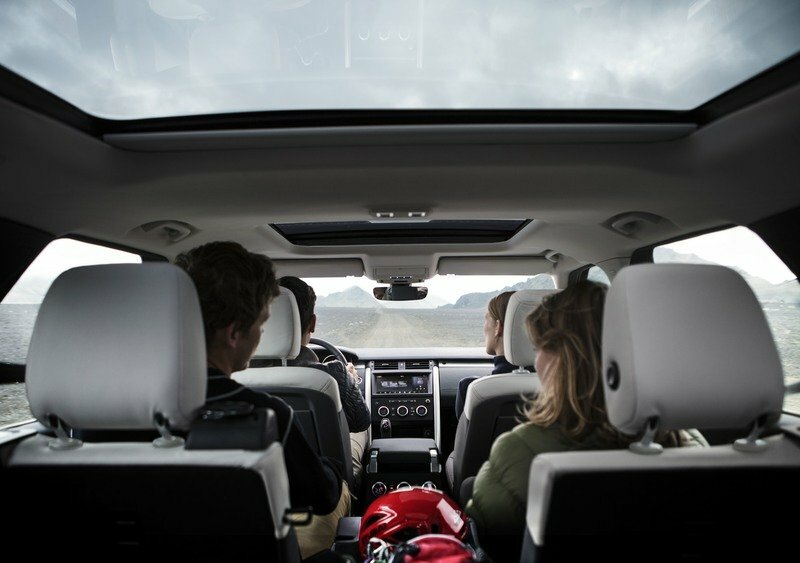 Aside from those changes, the Land Rover Discovery SVX still seats seven people in comfort. The second- and third-row seats lay down to reveal 85 cubic feet of cargo volume. Having the third row in place does limit the cargo volume to a rather small 9.1 square feet. 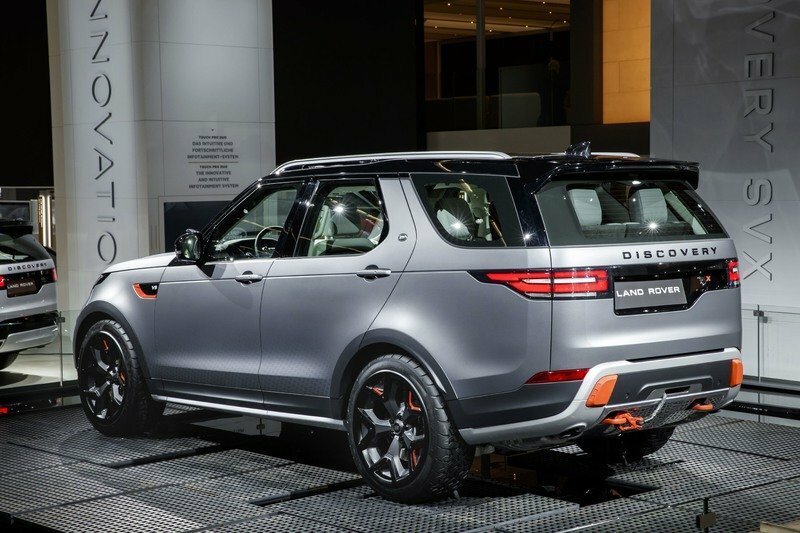 The Land Rover Discovery SVX foregoes the standard Disco’s 3.0-liter gasoline and diesel V-6 options and goes right for the 5.0-liter supercharged V-8. This marks the first use of the V-8 in the new Discovery. In this application, the supercharged V-8 makes 518 horsepower and 561 pound-feet of torque. It comes mated to the ZF eight-speed automatic with unique programming for SVX duty. Behind that is the Discovery’s two-speed transfer case for the full-time 4WD system. 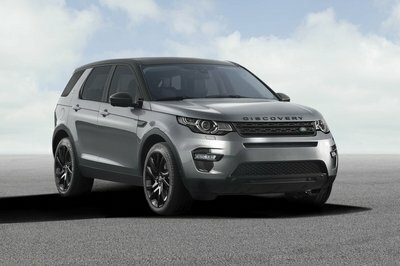 It offers both high- and low-range gearing paired with Land Rover’s Active Center Differential. The widely praised Terrain Response 2 system is the brains of the operation, controlling what wheels get torque and how to best apply it. There’s an Auto mode that adjusts the suspension and other settings according to the terrain, but the driver can also choose exactly what terrain he’s driving on. Modes include General Driving; Grass, Gravel & Snow; Mud & Ruts; Sand; and Rock Crawl. Each mode adjusts parameters like the air suspension height, differential locks, high- or low-range gears, throttle response, traction control, and ABS functions. Features exclusive to the Discovery SVX include the Hydraulic Active Roll Control, or H-ARC, system. It’s said to increase the wheel articulation for better suspension flex. 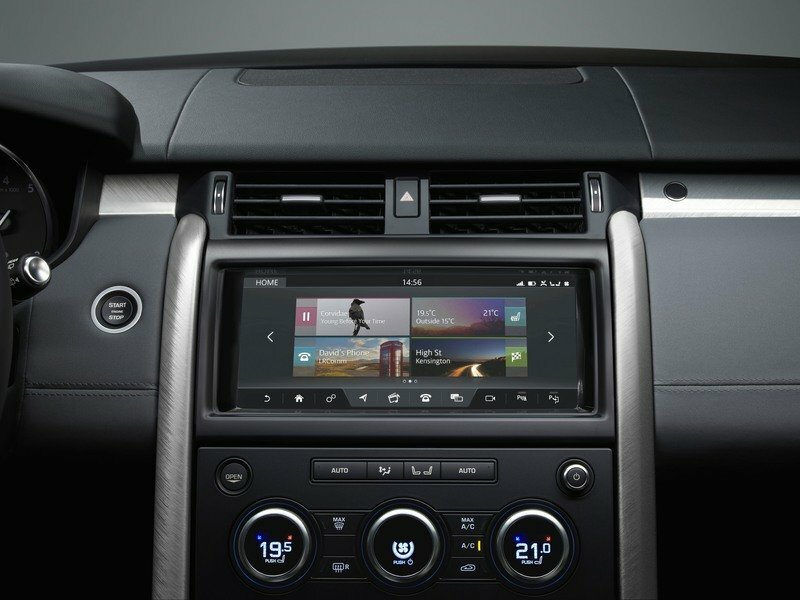 Land Rover didn’t divulge how the system works, but we’d we’ll be seeing more of the H-ARC in future Land Rover vehicles. In addition, the Disco SVX has long-travel shocks and new steering knuckles. Since the Discovery SVX isn’t a production model yet, Land Rover hasn’t talked pricing. However, you can bet it will be expensive. Anything the SVO team touches instantly tacks on tens of thousands to the MSRP. The base 2017 Discovery starts at $49,990 and the more luxury-minded HSE trim starts at $58,950. Adding the 5.0-liter supercharged V-8, all the off-road tech, and the aesthetic upgrades will undoubtedly make the Discovery SVX start higher – perhaps around the $75,000 area. We’ll update this section once Land Rover debuts the production version of the Discovery SVX. It’s also unknown if Land Rover will bring the Discovery SVX to North America. 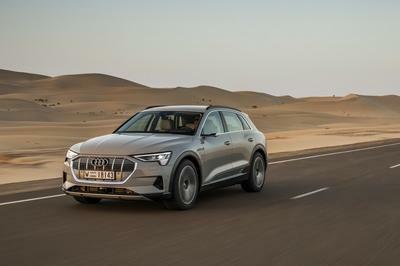 It’s hard to imagine it not coming here, especially with how hot the off-road and luxury SUV segments are, but stranger things have happened. 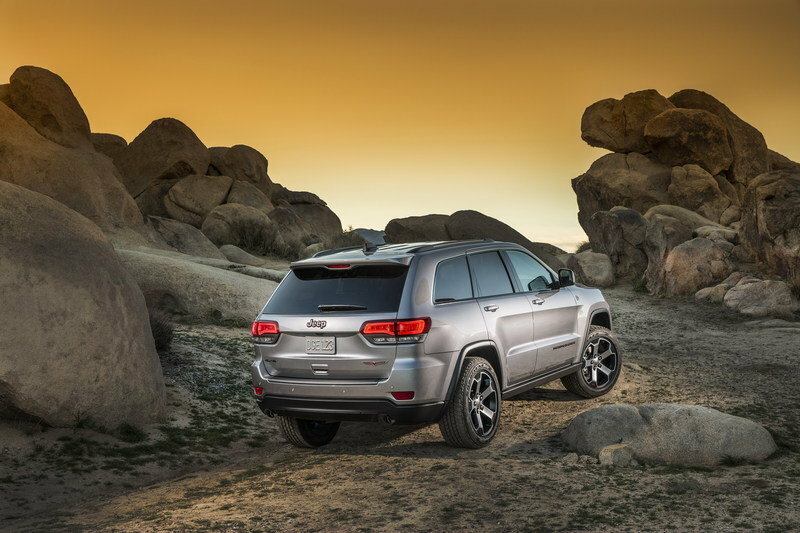 The Jeep Grand Cherokee is currently the only “luxury” SUV with a dedicated off-road package. 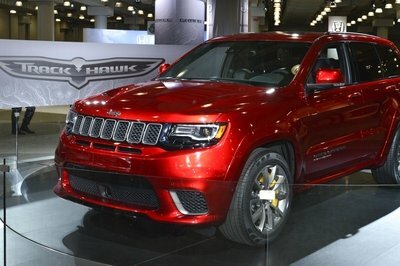 In the Jeep’s case, it’s the Trailhawk. There is a solid argument that says the Grand Cherokee isn’t in the same luxury league as the Discovery, therefore making them non-competitors, but for the sheer lack of a true competitor, we’ll stick with the ole GC. Once Jeep brings its Wagoneer and/or Grand Wagoneer to market, the Land Rover and Range Rover SUVs will have a more equal competitor. 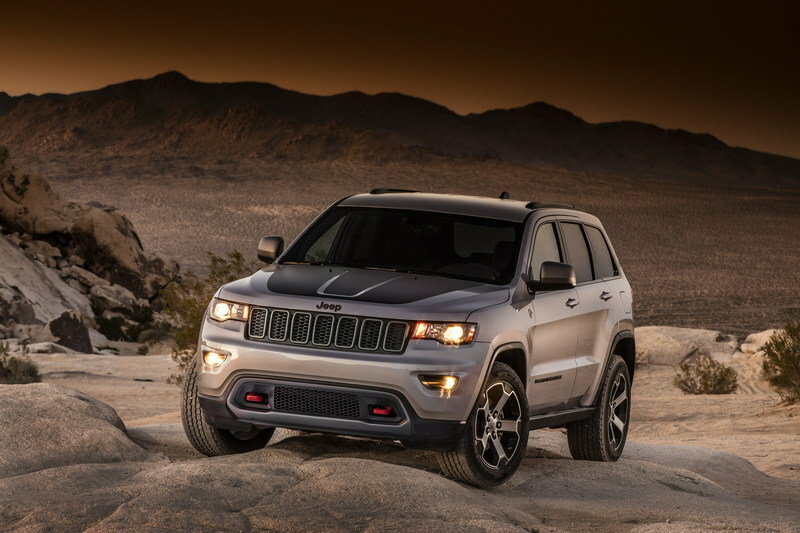 Nevertheless, the Jeep Grand Cherokee Trailhawk gets some hard-core equipment for off-roading where most SUV don’t dare venture. The Quadra-Drive II transfer case is used, giving full-time 4WD with high- and low-range gearing. An air suspension raises and lowers at the driver’s whim, skid plates protect the vital greasy bits, and red tow hooks are more exposed and easy to use than those on the standard Grand Cherokee. Slightly more aggressive tires are included and available steel rock sliders protect the rocker panels from trail damage. Power comes from your choice of the Grand Cherokee’s three engine options. These include the 3.6-liter Pentastar V-6, the 3.0-liter EcoDiesel V-6, and the 5.7-liter Hemi V-8. All three use a ZF eight-speed automatic transmission. Those wanting good fuel economy matched with low-end torque should opt for the EcoDiesel. It boasts 240 horsepower and 420 pound-feet of torque while managing near 30 mpg on the highway. Prices for the 2017 Jeep Grand Cherokee Trailhawk start at $43,095 and crest into the low $50,000 range with all the option boxes checked. Read our full review on the 2017 Jeep Grand Cherokee Trailhawk. Land Rover has been an innovator of luxury off-roading for more decades than most folks have been alive. The years have seen its vehicles progress from solid axles and manual locking hubs to aluminum-intensive unibody chassis, electronic everything, outlandish luxury, and an insanely sophisticated 4WD system. Now for 2018, Land Rover is raising the bar even more with its Discovery SVX. This SUV isn’t some gussied-up soccer mom machine with a big attitude that tries to pass for something capable. 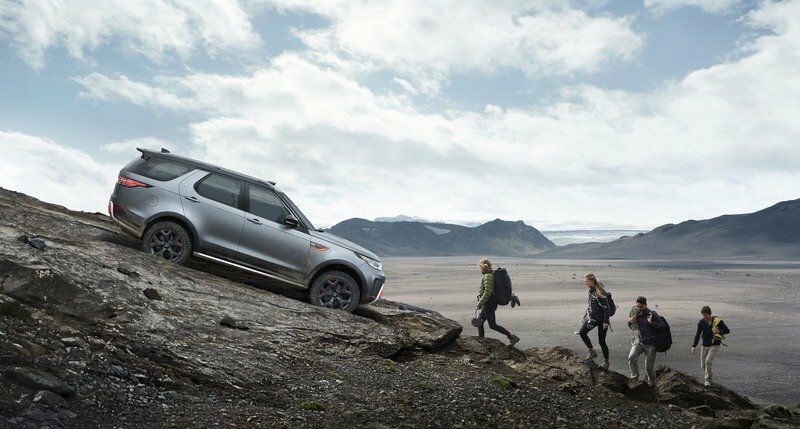 No, the Discovery SVX – or at least the current concept – is a no-hold-barred tool for getting through the harshest of terrain while still maintaining that high level of luxury within its leather-lined cabin. That’s the best of both worlds. Hopefully, the Discovery SVX will spur Land Rover to reignite its short-lived G4 Challenge. Should more automakers build all-out off-road versions of their SUVs, perhaps even the Camel Trophy series can be revived. Only time will tell, it seems. Will these upgrades make production? Will the Discovery SVX come to America? Read our full review on the Land Rover Discovery. Discovery SVX will be the first Land Rover hand-assembled by expert craftsmen at the SVO Technical Centre in the UK when production begins in 2018. SVO designers are embedded within the Land Rover team and have worked with our engineers to unleash their own passion for adventure to create another truly desirable and versatile vehicle in the Land Rover line-up. 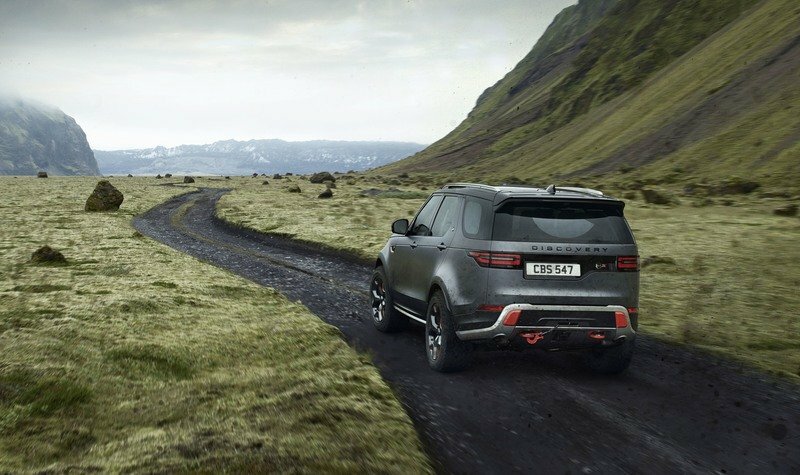 Discovery SVX embodies the design excellence and engineering integrity that are core values of every Land Rover, building on the legendary Land Rover all-terrain capability and adventurous spirit to deliver the ultimate in off-road performance and desirability. 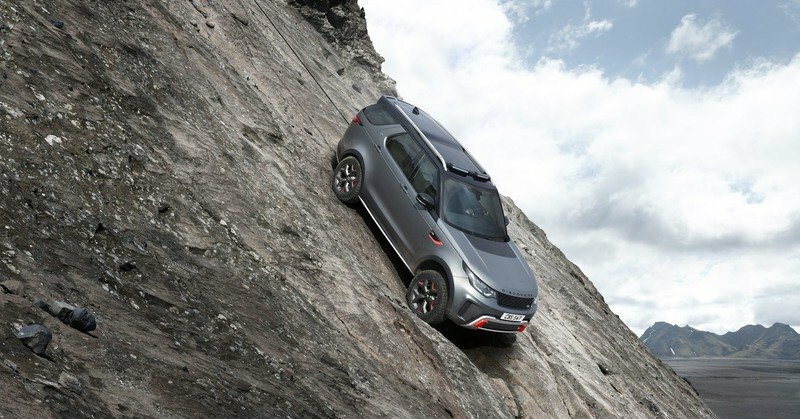 Since its launch in 2016 the fifth-generation Discovery, built on Land Rover’s strong, safe and light aluminium architecture, has won admiration as the world’s best full-size versatile SUV. That makes it the perfect base for SVO’s first SVX vehicle. New Discovery is the first modern Land Rover to wear the SVX badge. The SVX product line gives us a fantastic opportunity to deliver the ultimate Land Rover all-terrain capability in a dynamic and distinctive manner, creating a rugged and versatile SUV that the whole family will love: effortless, unstoppable and connected, whatever the terrain. Discovery SVX is designed to reward off-road driving enthusiasts with the next level of all-terrain capability, without compromising comfort and practicality. 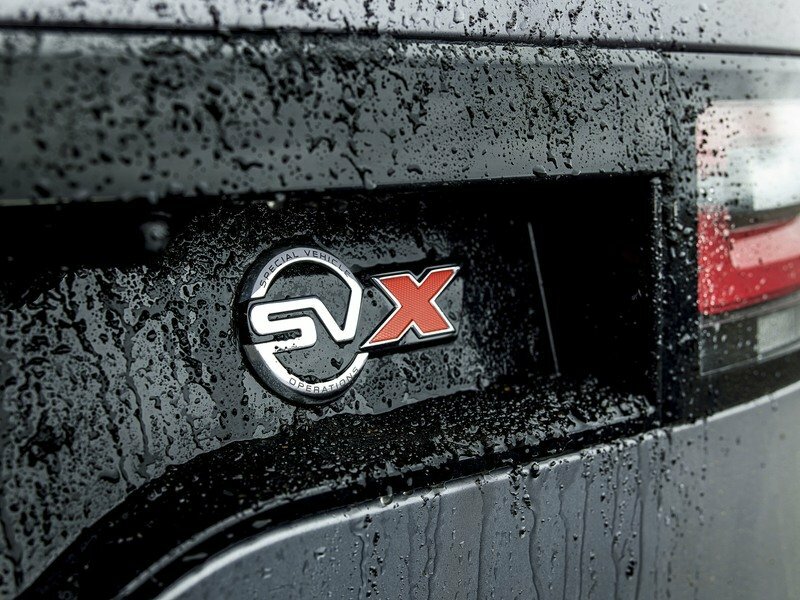 SVX takes Discovery versatility to new levels through further development of its formidable off-road ability. 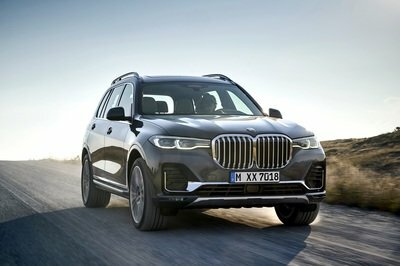 It will be offered exclusively with Jaguar Land Rover’s 5.0-litre supercharged V8 petrol powertrain, tuned to deliver 525PS peak power and 625Nm torque, along with suspension modifications to enhance driver confidence when tackling the toughest terrain. To visually reflect Discovery SVX’s inherent robustness and go-further ability, Land Rover designers have referenced features of iconic Discovery off-road challenge vehicles, such as those used for Camel Trophy and G4 Challenge events, to give SVX a distinctive, aggressive and purposeful appearance inside and out. The combination of design excellence and engineering integrity inherent in every Land Rover is the foundation of everything we do. 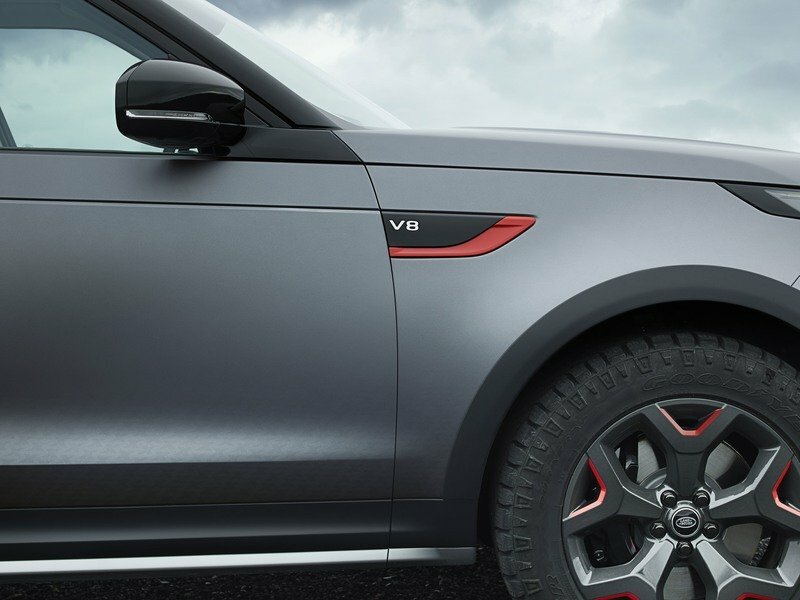 The Discovery SVX reinforces Land Rover’s unrivalled reputation for building vehicles with true all-terrain capability for customers who desire the ultimate in off-road performance. The production preview SVX at Frankfurt IAA features unique front and rear bumpers with protective skid plates and exposed Rush Orange-finished metal recovery eyes – each rated to enable recovery of more than six tonnes, an anti-glare bonnet finish and an integrated rear-mounted electric winch system. Discovery SVX also stands out through its exclusive satin Tectonic Grey paint finish, a unique colour and material combination of Lunar and Light Oyster with Rush Orange accents inside, and ‘X’ logo perforations on the SVX-branded seats. Unique Narvik Black side vents with V8 badging, a Narvik Black Dynamic grille, Silver roof rails and a roof-mounted unit with two additional light pods for improved low-light visibility complete the transformation. 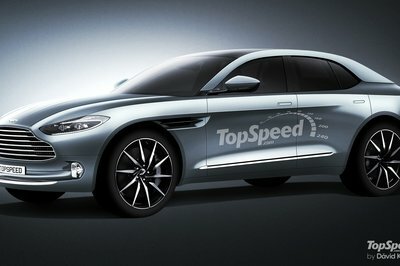 The first Land Rover SVX from SVO makes its world debut on the Jaguar Land Rover stand at Frankfurt IAA, 12-24 September, alongside a comprehensive range of Jaguar and Land Rover vehicles including SVO stablemates the Range Rover Sport SVR, Range Rover SVAutobiography Dynamic, Jaguar F-TYPE SVR and Jaguar XE SV Project 8.